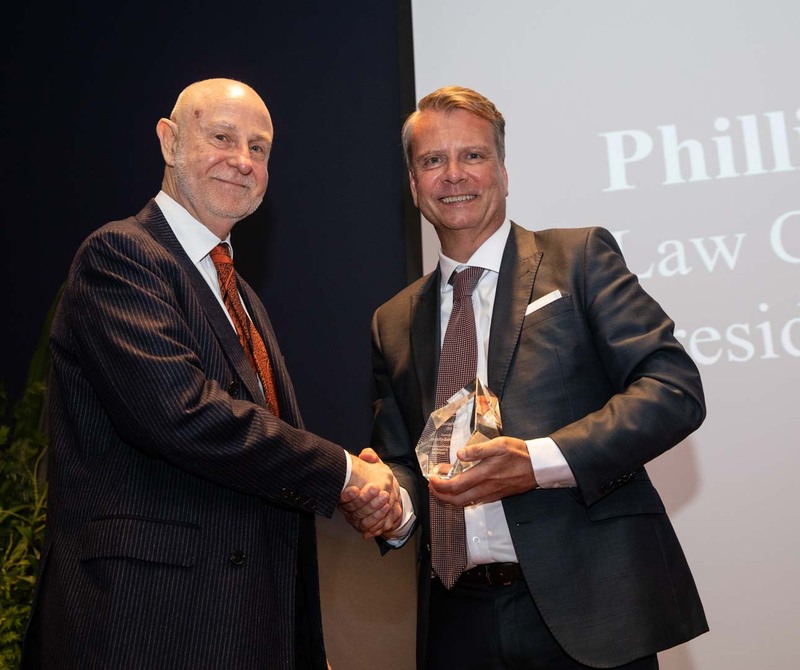 The Law Council of Australia's President's Award, presented annually to acknowledge and celebrate exceptional achievement in the legal profession, has been presented to barrister Phillip Boulten SC. 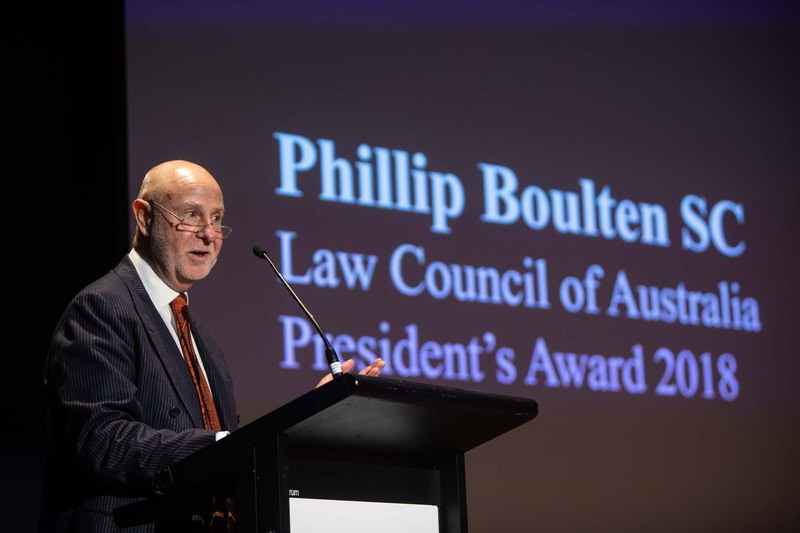 Law Council of Australia President, Morry Bailes, who presented the award at the Law Council's Annual Gala Dinner last night, said Mr Boulten exemplified the best of the profession. “Throughout his career, Mr Boulten has made an outstanding contribution to the promotion of the rule of law and the administration of justice,” Mr Bailes said. “He has achieved this not only through his work at the Bar, but also his contributions to the work of the Law Council, the Australian Bar Association, and the New South Wales Bar Association, where he served as President. “His commitment to key tenets of our justice system, like the presumption of innocence, has been an enduring feature of his career. He regularly takes on criminal defence briefs in difficult and unpopular causes, on behalf of individuals accused of serious crimes. Caption: 2018 President's Award winner, Phillip Boulten SC, and Law Council President, Morry Bailes. Caption: 2018 President's Award winner, Phillip Boulten SC.